Very interesting information, Terreece. I am very curious to see how well that software works. I would definitely use it, if no-spin was applicable to the piece that I was writing. I sometimes struggle with pulling myself and opinions from my writing, so it would be a good tool if it worked as designed. A lot of the writing that I do is rooted in my experiences and opinions (reviews, etc.) so I would probably not need it often, but it would be interesting to try. I would have to try it, but I don’t think software can truly tell you if “spin” is being put on a piece. What will happen, if the software even sees wide use, is people will learn how to game the software, just like SEO folks game the search engines. Ultimately I think it is up to the viewer/reader to spot spin – the methods involved in writing a spin piece are too subtle for software to truly pick up on. It’s an interesting software, but I probably wouldn’t use it because I can spot spin on my own. I don’t have a problem with keeping opinions out of my news articles. In fact, when I covered a Christianity vs. atheism debate for my college newspaper, the atheist debater told me he thought the article was very fair and unbiased, which I considered quite a compliment since I’m a Christian. I’m frankly skeptical that any algorithm can reliably identify an attribute as qualitative and slippery as “spin.” Veteran copyeditor and journalism prof “FEV” does an excellent and thorough job of critiquing the claims of this particular bit of software at “Headsup: The Blog” (http://headsuptheblog.blogspot.com/2008/09/kings-camelopard-or.html). I’m going off on a tangent, but I think everyone should take a look at the Code of Ethics linked in this post. I’m sure many people have seen it in their professional life, but it seems that lots of Internet writers don’t have very good ethical standards (not you guys of course!). I think when it comes to spin, there are a lot of factors to consider. First of all, who is your employer? Are you to be writing from a liberal or conservative point of view (if it’s a political discussion). Also, will you be blogging or writing a news article, because bloggers generally inject their opinion while news articles are to be factual and less slanted. With that said, I agree it’s usually easy enough to spot the spin without having to rely on software. It’s up to the writer though. If this makes a writer more comfortable with a piece, why not? Deb – I left blogs out of the equation just for that reason. But that leads to a good question – if the nature of blogs are to give one’s opinion is there a format – within a blog that can unbiased or without opinion or would that just be a regular web site? Evan – I’ve got a little sheet with them in my trusty AP Style Guide and every time I open the book up the sheet floats out – nice little reminder. The difference is that I was taught and penalized if I didn’t know, understand and embrace the ethics code. Some writers are never shown those, they just kind of bump along into the field and start writing. I’m not saying everyone has to go to school for writing or journalism – it should be a part of every basic writing web site because it can be used for all types of writing. Denise – Interesting post, thanks for the link! Overall I think the software itself is a social experiment as it relies on volunteers to find the spin. 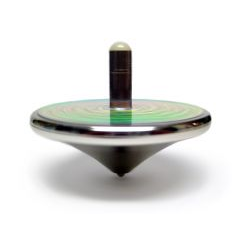 Angela, Em, Chris – I guess another question would be how is it possible to teach the average reader about spin and how do you prove something isn’t spin?